Drog is the proud chief of an ancient people. He rules with a firm but fair hand and his tribe adores him and trusts him without question. He is their protector and a leader even among leaders. 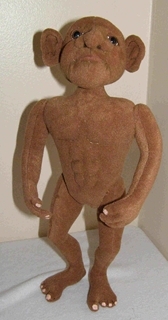 He is made of brown doe suede with a wire armature and stands 11.5 inches tall. He has plastic post eyes and his face is shaded with chalk and sealed with a workable fixatif. He is firmly stuffed with his face, chest and abs needle sculpted. Toban, Elven Captain of the Dragon Warriors. He stands 12.5 inches tall. Toban's body is made of Doe Suede with a wire armature. He stands without a base. He has plastic post eyes and Tibetan Lamb hair. I used some acrylic paint for his lips and eyes while shading was done with chalk. 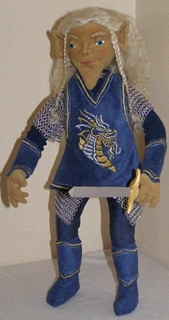 His costume is faux suede and machine embroidered with a dragon. The most difficult and time consuming part of Toban's attire was his hand maid chain mail. It is a one piece chain mail jacket that comprises of over 3500 stainless steel jump rings individually hand knitted together. I lost count of how many hours it took to make. His sword is made of a Popsicle stick, paperclay and then painted with acrylic paint. 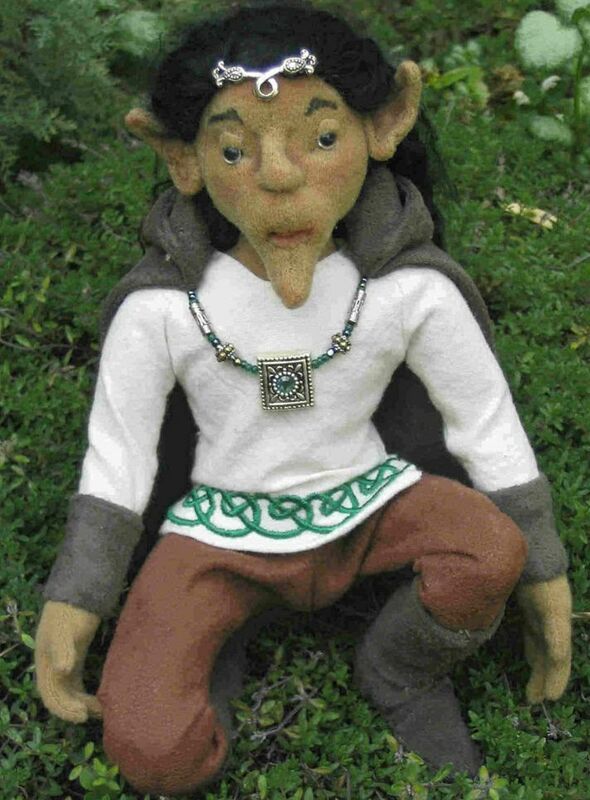 Landrell is a woodland elf. The woodland elves live at peace and harmony with nature. Here Landrell sits and listens to the forest floor to tell him what is going on in his realm of the woods. My favourite material to use for the skin is Doe Suede. His hair is made from Tibetan Lamb Hair. The arms and fingers are wired with pipecleaners. He is clothed in faux suede and cotton and embellished with embroidery and Swarski Crystals. Landrell is my own design for "Faeryland Creations". 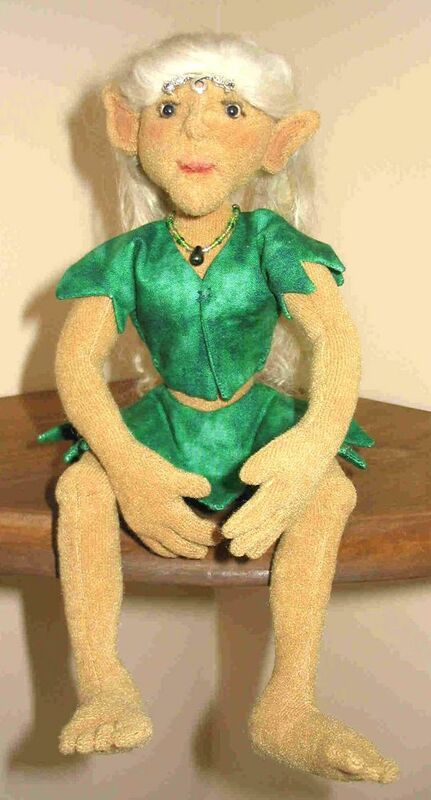 Edweena is a woodland elf. Quietly she sits and listens to the world around her. Edweena is my first original design. She is made of Doe Suede and her hair is Tibetan Lamb Hair. The arms and fingers are wired with pipecleaners. 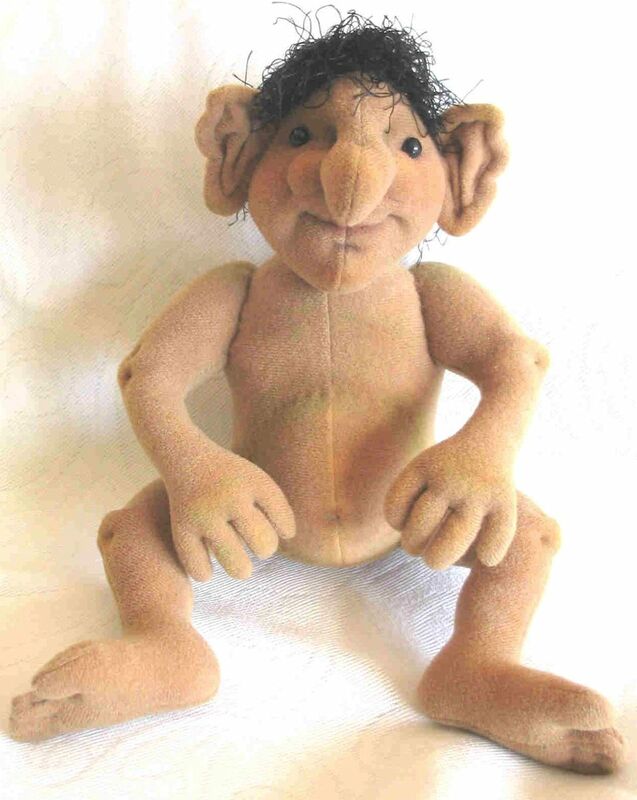 This Troll is from Ute Vasina's Mopsy design.